I've taken out the screw (that's hidden by the clutch cable in the pic above but you can see the R/H one) and replaced it with a longer bolt. I have an old ram arm that I have brought out horizontally to the left and mounted a vertical ram clamp so the sat nav sits to the left and below the instruments - just behind the l/h winglet. When on full right lock the left handlebar goes over and clears the sat nav. It's not ideal but will do until I decide on a 'proper' mount like the Givi bar. 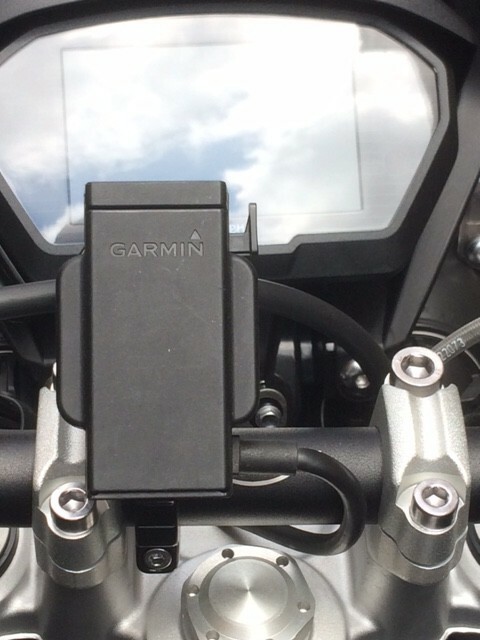 The original satnav mount from the original Tiger 800 fits and puts the satnav Level with the clocks. 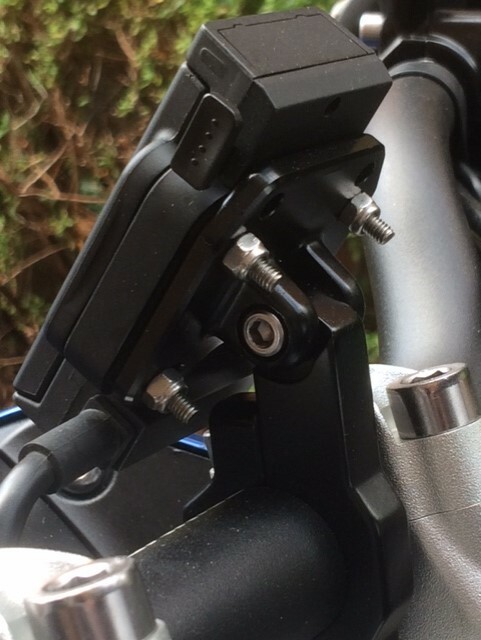 I’ve made a mount for the 2018 Tigers XRX, XRT, XCX, XCA, but it won’t fit the base model XR. It’s on eBay for £45 but if you want one I can do it for £40 posted in UK. Can’t upload images so the item number for ebay is 192603791793. Have a look and if it’s something you’re interested in, fire a mail at me Nikwill26514@gmail.com. If used with a Ram clamp it won’t hinder screen movement either.